Inspired by a talk by Little White Lies’ Timba Smits at 71a’s design week, I turned my hand to movie related artwork. 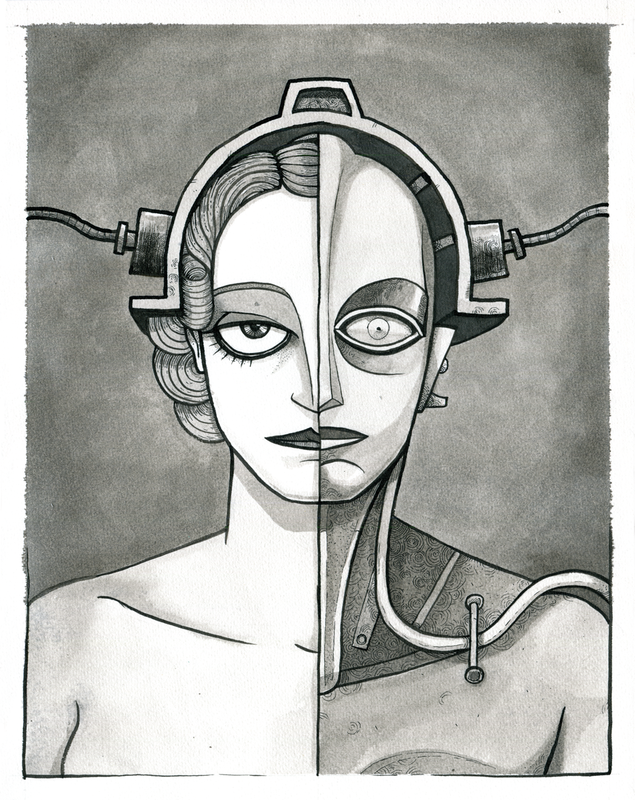 Using this as an excuse to try a new technique, I painted Maria and the robot from the 1927 movie Metropolis. 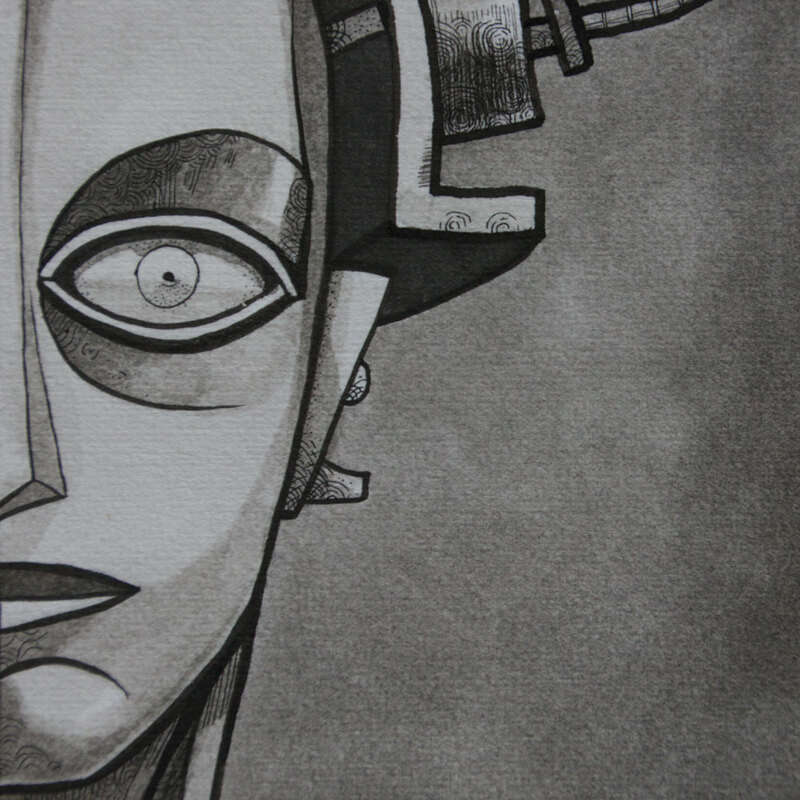 I thought ink washes over a lightly textured paper would recreate that lovely film grain from the film. Also any excuse to draw robots. 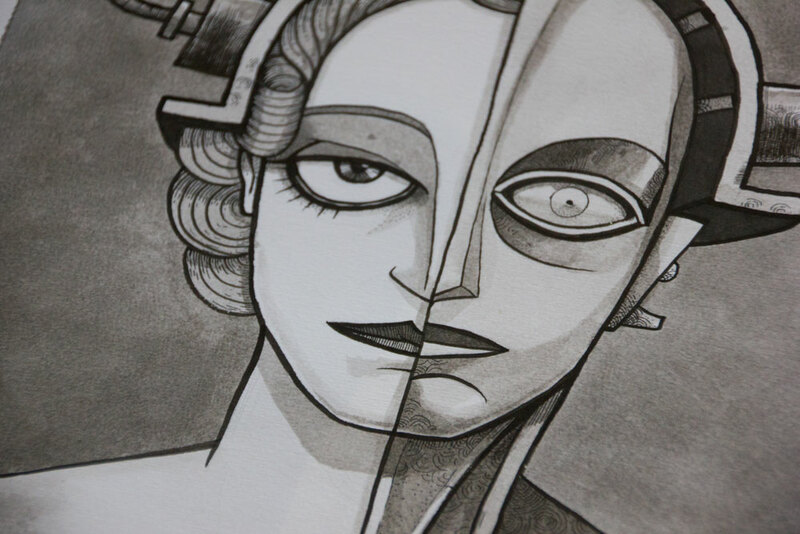 Maria and the robot from metropolis. ← Don’t Can the Can!